Thinking about trading impermeable parking lot pavement for green space with planters or bioswales? Low-impact development (LID) can be a lucrative option for new development, urban retrofitting, and redevelopment projects wanting to invest in LID as a stormwater management tool. Sure, saving money while simultaneously managing stormwater sounds ideal, but is it? LID, or green infrastructure, is largely a land development tool that mimics the natural drainage of rainfall by allowing stormwater to be absorbed and filtered into the ground rather than flowing directly into ditches and storm sewers. Bioswales, permeable pavement, vegetated filter strips, rain barrels, planters, and green streets are common types of LID projects. Historically, stormwater has been managed in a manner that moves rainwater away from residential areas by using traditional “pipe-to-sewer” stormwater infrastructure. Conventional stormwater infrastructures were built for the big 50- or 100-year floods and can be poorly designed, inadequately constructed, and not maintained for the more frequent smaller storms. There are many pros to installing LID, such as boosting curbside aesthetics, providing habitat, protecting against flood events, and filtering detrimental pollutants collected from impervious surfaces. Stormwater, in theory, should leave a LID project site in the same rate, quality, and quantity that existed before development. Don’t let the potential benefits seep in without considering the possible downsides to installing LID. There are some adverse aspects, such as LID projects tend to involve more ongoing maintenance than the traditional pipe-to-sewer stormwater infrastructure. Another downside is that not all LID projects function the same. Understanding the site specifics is critical for selecting the proper LID. For example, vegetated filter strips can be ideal for small parking lots but not for sites with large drainage areas. Do LID projects actually work? We know green infrastructure can work. For example, adding porous parking lots with on-site retentions ponds will allow for stormwater to gradually soak into the ground. Or, adding roadside bioswales will capture and treat stormwater runoff from adjacent parking lots. Without these LID projects, stormwater would have simply collected pollutants and discharged into storm sewers. Tip: Combine traditional stormwater infrastructure with LID projects to effectively manage both extreme storm events and provide treatment for the more common storm events. Ongoing LID maintenance seems like a headache. Is it? Maintaining LID projects does not have to be a headache if done correctly. At first, LID practices need more ongoing maintenance as vegetation becomes established. But once established, the LID project can be maintained in the same manner as other landscaping (e.g., mowing, weeding, debris removal). However, the staff or volunteers maintaining the LID site should possess the skills needed to maintain best management practices (BMPs). These skills include an understanding of the site-specific project and its proper function as well as general labor or tool abilities. Tip: Encourage volunteers to help with maintenance, and create a seasonal maintenance schedule. Can LID projects save money? Yes. LID projects can save money and provide flood control by reducing the amount of pavement, curbs, and gutters and other costly stormwater infrastructure. 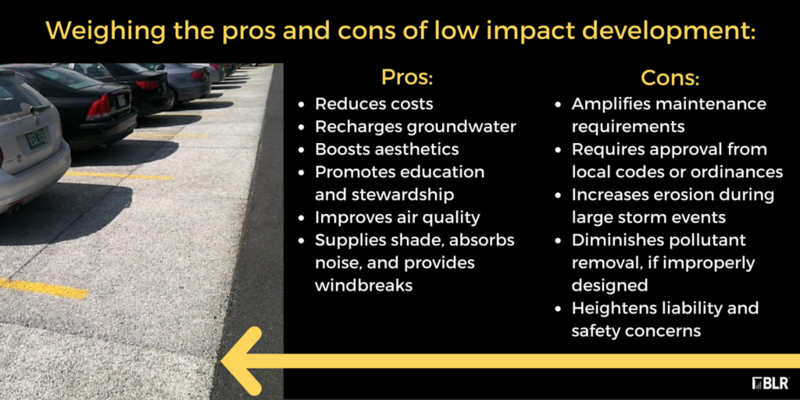 In addition, several case studies demonstrate that costs of conventional stormwater development projects are significantly greater than costs of implementing LID practices. 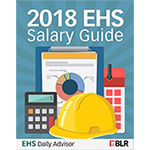 Tip: Look for funding resources through state stormwater programs or through the U.S. Environmental Protection Agency’s Clean Water State Revolving Fund.